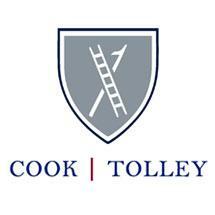 Cook & Tolley, LLP is a premiere small law firm specializing in high-stakes litigation and complex cases. We were founded in 1964 by J. Vincent Cook. Ever since then, we have pursued the best results for our clients, being specialists in particular areas of the law while still being able to meet the general needs of our clients. With over 50 years in existence, Cook & Tolley, LLP, is known throughout Georgia for handling client's needs with excellence. We have kept our firm small enough to provide personal, one-on-one attention to our clients, yet big enough to offer a range of services. Clients trust us with the most serious situations in their lives. Wrongful death, permanent catastrophic injury, high profile criminal charges, and divorce are just some of the matters we handle on a daily basis. While handling such crises, though, we also help to make our client's futures more secure through our real estate, business, and estate planning services. We listen to our client's needs and make sure those needs get met. We are very accustomed to speaking up for clients whose opponents are better funded or more powerful than our clients are. We provide strength that you otherwise would not have. In other words, we are experienced, respected, and tough. Our lawyers handle cases all over Georgia while being proud to call Athens home. Our firm is located in historic downtown Athens, directly across from the Athens-Clarke County Courthouse and three blocks from the University of Georgia campus. Being based in a smaller, thriving town helps us relate to our client's needs throughout Georgia. We understand the demands of urban life, and we know how to communicate with rural Georgians.